On today’s Phil Naessens Show we talk Portland Trail Blazers NBA basketball with Dave Deckard, our monthly NBA MVP watch with Amar, Boston Red Sox and Detroit Tigers with Rush Olson and Memphis Grizzlies NBA hoops with Kevin Lipe. Posted in: Uncategorized. Tagged: Audio, Baseball, Basketball, Big Ten, Boston Red Sox, Commentary, Detroit Tigers, Featured, Miami Heat, MLB, NBA, NBA Podcast, NCAA, Oklahoma City Thunder, Reggie Jackson, San Antonio Spurs, Trade. 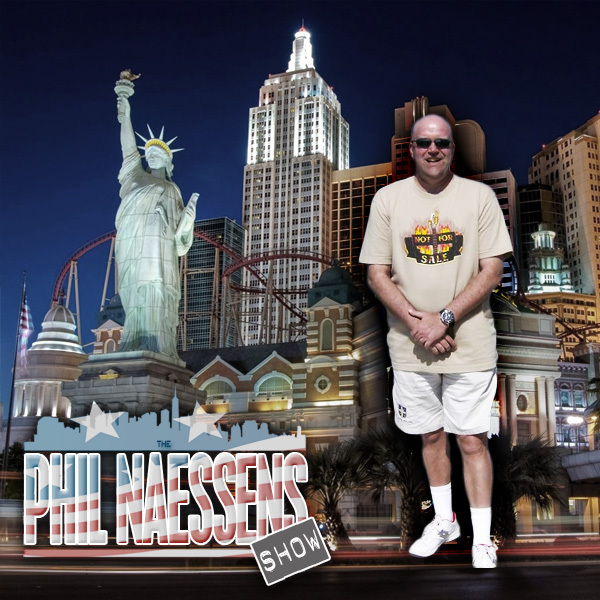 On today’s Phil Naessens Show we talk Miami Heat hoops with David Ramil, Joe Mullinax joins Phil to discuss the Big Ten considering not allowing freshmen to compete in football or basketball, Rush Olson joins Phil to preview the 2015 Detroit Tigers, J.R. Wilco stops by to talk San Antonio Spurs basketball and J.A. Sherman joins Phil to talk Oklahoma City Thunder NBA hoops. On today’s Phil Naessens Show we talk San Antonio Spurs NBA hoops with J.R. Wilco, Boston Red Sox baseball with Rush Olson, Detroit Pistons basketball with Joe Mullinax, Fantasy Basketball with Alex Rikleen and Atlanta Hawks basketball with Kris Willis. On today’s Phil Naessens Show J.A. Sherman joins Phil to discuss the Oklahoma City Thunder, their upset fan base, the monster hole they’ve dug for themselves and when Kevin Durant and Russell Westbrook might return plus the next six games on their schedule. Rush Olson joins Phil to discuss the Boston Red Sox signing of Free Agents Hanley Ramirez and Pablo Sandoval, what Boston might do next, rumors that the Texas Rangers may trade for the Atlanta Braves outfielder Justin Upton and more MLB Hot Stove talk. Amar joins Phil to discuss the Utah Jazz, first year coach Quin Snyder, Derek Favors, Gordon Hayward, preview tonight’s game with the Thunder and more great Jazz NBA talk! Talk Superstation, Armed Forces Radio Network , Kozmik Radio, First Online Radio, Epix Radio, The 405 Media and People Radio. Segment 1: Athletics Nation Lead Writer Alex Hall joins Phil to talk about the World Series and whether or not the Oakland A’s will try to sign Free Agent SP Scott Kazmir plus much more. Segment 2: True Blue LA Managing Editor Eric Stephen joins Phil to talk World Series baseball, the future of Los Angeles Dodgers Manager Don Mattingly, the Dodgers not winning any Golden Glove Awards this season and potential off season Free Agent signings and much more. Segment 3: Blogging Mets Mark Berman joins Phil to talk World Series baseball plus whether or not the NY Mets should sign free agents Adam Dunn and Dan Haren and much more. Segment 1: Athletics Nation Lead Writer Alex Hall joins Phil to preview the 2013 World Series between the St. Louis Cardinals and Boston Red Sox. Alex demonstrates the similarities between the Red Sox and the Oakland A’s and the guys give their predictions on who will win the series and who will be the series MVP plus much more. Segment 2: Blogging Mets Mark Berman joins Phil to discuss New York Mets hot stove baseball. Listen in as the guys talk about the possibility of trading for Toronto Blue Jays outfielder Jose Bautista and Kansas City Royals 1b Billy Butler plus much more. You can join one of Phil’s Fantasy Basketball Leagues by either commenting on this site or visiting here. Segment 1: Blogging Mets Mark Berman joins Phil to discuss the amazing MLB Championship Series’ between the Los Angeles Dodgers and St. Louis Cardinals as well as the Detroit Tigers and Boston Red Sox plus much more. Segment 2: Phil replays an interview with author Steven R. Travers to discuss his book The Last Icon: Tom Seaver and His Times.